In a special, 2018 limited edition, we're proud to offer this one-of-a-kind Kabuto, specially made for Smokingpipes.com. 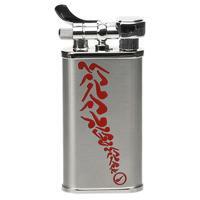 Featuring a silver-hued, satin finish, it's decorated in a display of crimson-hued pipes cascading down the lighter's face to our logo in the bottom corner. 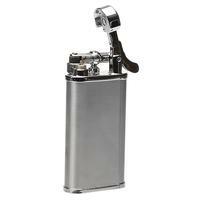 Like your choice of cuff links or writing pen, your lighter communicates much about your discerning tastes to others. Show your love for SPC with this exquisite and collectible Kiribi Kabuto.